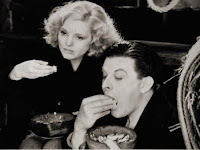 Via the Bright Lights blog, I discover this amusing clip of the young Alfred Hitchcock horsing about during a "sound test" with the pretty actress Anny Ondra (who starred in Hitchcock's Blackmail and The Manxman, and whose voice had to be dubbed because of her heavy accent). “Have you been a bad woman or something?...But you've slept with men?...Come here and stand in your place or it will not come out right, as the girl said to the soldier.” More fodder for thesis writers working on studies of Hitchcock as prankster/terroriser of leading ladies. I remember seeing a series of stills from this sound test in the Hitchcock-Truffaut book, but I didn’t know the actual clip still existed. 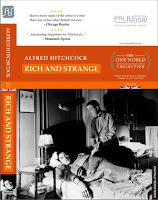 In related news, I’ve recently acquired the latest box-set in Palador’s World Cinema collection (or the One World Collection as it’s now known): five early Hitchcock movies made between 1929 and 1932 – Blackmail, The Manxman, Murder!, Rich and Strange, The Skin Game. These are understandably creaky movies, less accomplished (when seen as a whole) than some of the films Hitchcock made later in the decade (The Lady Vanishes, The Thirty Nine Steps, Sabotage, Young and Innocent) - I can’t see them having wide appeal, but they are of definitely value to the serious Hitchcock buff or to someone who’s particularly interested in the early days of the sound era. And even the most laboured of them have scenes where you can see traces of the artistry in his best work. Murder!, which stars the always-watchable Herbert Marshall as a juror who becomes convinced of the innocence of a young theatre actress accused of murder and sets out to do some investigating of his own, is the only real murder mystery – complete with self-conscious accumulation of clues, “Aha!” moments and a dramatic denouement – that Hitchcock made. He wasn’t too comfortable with whodunits because they went against his well-known preference for suspense over surprise (as he told Truffaut, “in such films, all of the interest is concentrated on the ending”) and generally speaking this isn’t the kind of plot that plays to his strengths as a great visual director. It’s a talky, stagy film, even by the standards of the time, and I thought some scenes had the feel of music-hall comedy. There’s a long and wearisome sequence early on where the jury members decide that the girl is guilty and then get together to browbeat poor Sir John – the sole dissident – into agreeing with their verdict; this last bit, with the repeated chorus “Any answer to that, Sir John?” is rather incongruous compared to what preceded it (imagine Twelve Angry Men done in burlesque style). You could of course argue that some of the theatricality is deliberate, since this is a movie about stage performers and a couple of key plot points have to do with the artifice of this world – costume, make-up etc. There’s even a nod to the play-within-a-play in Hamlet. With a career as lengthy and a style as identifiable as Hitchcock’s, it’s always fun to look at early films for (real or imagined) seeds of famous scenes to come. 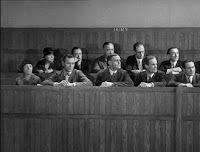 In Murder!, the shot of the jury members collectively turning their heads first in one direction, then another, to listen to the arguments of the defence and the prosecution, reminded me of the tennis spectators in Strangers on a Train. The girl in the dock, a desolate, confused figure, the world closing in on her, seemed a pre-echo of the highly stylised shots of Grace Kelly in Dial M for Murder. There are some great static compositions too, such as the initial discovery of the body (this scene really does look like a painting) and a prison scene with the camera looking up at a warden at the angle that makes her look even more menacing and powerful. Also, a nice little touch that juxtaposes the dramatic and the mundane: during a scene where a death sentence is being pronounced in the courtroom, the camera stays in the near-empty jury room to show us a man carefully cleaning the tables where the jurors had been sitting. Murder! is a good little curio (trivia: the scene where we hear Sir John’s thoughts on the soundtrack while he’s shaving is the first documented use of the “interior monologue” in movies), but a much better early Hitchcock in my view is Rich and Strange, though this is atypical material for the future Master of Suspense. It’s about Fred and Emily, a working-class couple who unexpectedly come into an inheritance (via a rich uncle) and take off on a round-the-world cruise, slowly becoming bored and corrupted along the way. This is a straightforward morality tale on one level, but there are many solid Hitchcock touches and the screenplay is mercifully short on flab. The film doesn’t feel the need to keep talking, so to speak, as many of the early sound films did, it’s well-paced, and Hitchcock has more space for some of the visual flourishes that he would refine in his later work – you get a sense here of a director having fun on the job, which might not have been the case in Murder!. The little visual experiments here include a scene where Fred experiences a dizzy spell (brought on by seasickness) as he tries unsuccessfully to take a photograph of his wife; the camera’s movements mirroring the swaying of the ship. There are also imaginative scenes involving written matter: the uncle’s inheritance letter, with everything but the key words (“Money to experience all the life you want by traveling”) blanked out as Emily reads it; a menu card where the food descriptions seem to hop off the page and fly at the seasick Fred; another letter that slowly goes out of focus as the person reading it tears up. And I liked the funny title cards, such as the one that goes “To get to your room, you have to cross the hotel lounge” (a sequel to an earlier card that says “To get to Paris, you have to cross the Channel”) as a drunk Fred and Emily stagger across said lounge and the camera supplies a blurred point-of-view shot. Though Fred and Emily are made to look silly in the middle sections of the film, there’s a clear sympathy here for people in their situation – the nouveau riche, whose wildest dreams are realised too soon, so that they don’t quite know how to adjust to their new life or to return to the old one. (“When you’ve developed a taste for champagne, how can you stick to water?” asks Fred rhetorically.) I liked the economy with which Hitchcock shows their wide-eyed entry into this new world: the little touches such as Emily surreptitiously removing her shoes for comfort when they go to watch a Folies Bergere show in high-society Paris (a daunting place for this provincial, “steak-and-kidney pie” British couple), and her exclaiming “The curtain went up too soon – they’re not dressed!” when the dancers come on. Even throwaway scenes like the one where Fred shows Emily his uncle’s letter. “Quick! Look!” he shouts, as if the paper might dissolve and the inheritance be retracted if she didn’t see it immediately. All these scenes add up to make a well-rounded picture of this couple, their aspirations and subsequent missteps, and it allows us an emotional investment in their fate. I also thought it interesting that the film was much more sympathetic towards Emily (extremely well played by the lovely Joan Barry), who is the more thoughtful and self-aware of the two protagonists, while Fred seems like a louse in comparison. An early example of the "misogynist's" empathy for a strong female character. P.S. Question for Hitch buffs: what are your favourite early Hitchcock films? (“Early” defined as pre-1934, the year of the original The Man Who Knew Too Much.) These are mine, in no particular order: The Lodger, Rich and Strange, Blackmail, The Ring. I’d be particularly interested in knowing if there’s anyone out there with a deep and profound love for such movies as The Pleasure Garden and Juno and the Paycock. Hi Jai: it's the Hitchcock season on BBC4 where they're showing films from the British period. Good stuff. A couple of interesting documentaries as well. You should be here, old chap! Haven't seen any of the pre-1934 work. I think the entire British period can be regarded as "early" Hitchcock. Common features of the British films include the near-absence of a background score and a distinct lack of melodrama that characterizes his work in the forties. I believe that among his American films, Foreign Correspondent and Saboteur seem more British than American. Favourite British movie - The Lady Vanishes by far. I'd rate it along with Notorious among the two best movies Hitch ever did. 39 Steps is interesting. But nowhere near as good as its American counterpart - North by Northwest. Feanor: upload them all on YouTube! Shrikanth: there's lots of melodrama in the earliest films, though of course that's partly a function of the period they were made in. Btw which 1940s Hitchcocks did you think were melodramatic? The Paradine Case, Under Capricorn and Suspicion to an extent maybe, but I can't think of anything else. @J'wock, Perhaps melodrama was the wrong word. Anyway, i didn't mean it in a disparaging way. From Rebecca onwards, most of his films are more subjective and pay greater attention to character development unlike the British work where the screenplay is plot driven. For instance, Rebecca and Suspicion are narrated primarily from the viewpoint of the character played by Joan Fontaine. Similarly, the Notorious screenplay is from the point of view of Alicia Huberman and to a certain extent Alex Sebastian. The British Films that I've seen are relatively more objective and less emotionally intense. Hi Jai. Great observations, I must confess. 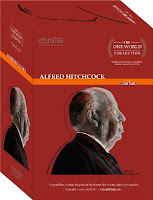 in my opinion, Hitchcock's mastery increased with time,as one can observe with later movies such as Rebecca, The Paradine Case and Psycho. The movies he did with Selznick Studio in particular are absolute masterpieces; you should try and search for the same. The movies he did with Selznick Studio in particular are absolute masterpieces; you should try and search for the same. Rohit: thanks for the tip, but I've seen every Hitchcock film made post-1939 at least thrice. There were only 3-4 films he made with Selznick, as I recall - all good, but the real masterpieces in my view came from the 1950s on. And Rebecca, The Paradine Case and Psycho belong to three different mini-eras (they were made in 1940, 1947 and 1960 respectively), so not sure I'd want to link them together. Funny that you should have a post on Hitchcock on the same day a DVD of Hitchcock (Had 4 movies on it of which I had watched just one) was broken in my house. Kids that stay next door walked into my room when I was away at work, ejected the Hitch DVD out and then broke the thing. I have really not watched any of his movies pre-1934, would have watched Easy Virtue if not for the kids!! And how are the Indie-corners on these box sets ? Talking of the Palador box sets I watched Yojimbo and Throne of Blood which seems to be the movies that you rate as your top two Kurosawa movies. I loved Throne of Blood. Hope you do a post sometime comparing Macbeth's re-interpretations by Kurosawa and Vishal Bharadwaj. 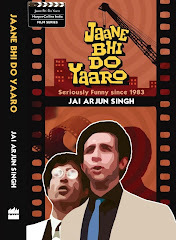 You can get these digitally remastered DVD Box Sets at www.mypalador.com OR you can contact me "Santosh" at 99 200 59 145. Along with a 5 DVD Hitchcock box set, we have also released two wonderful English titles "Stealing Beauty, by Bernardo Bertolucci" and "Producers, by Mel Brooks". These DVDs are also available online with indiaplaza, indiatimes, talash.com and other e-commerce portals and also at major retail stores like crosswords, oxford, music world, odyssey and landmark. I'm looking forward to go through a Hitchcock marathorn myself and read the book of Truffaut interivew on the master once completed. Now that is a good piece Sir! Although, out of curiosity, was it not Eisenstein who first used interior monologue in cinema. Maybe you are right about Murder being the first documented feature. For some odd reason, I remember the Russian doing it before him. Just checking, I maybe wrong.